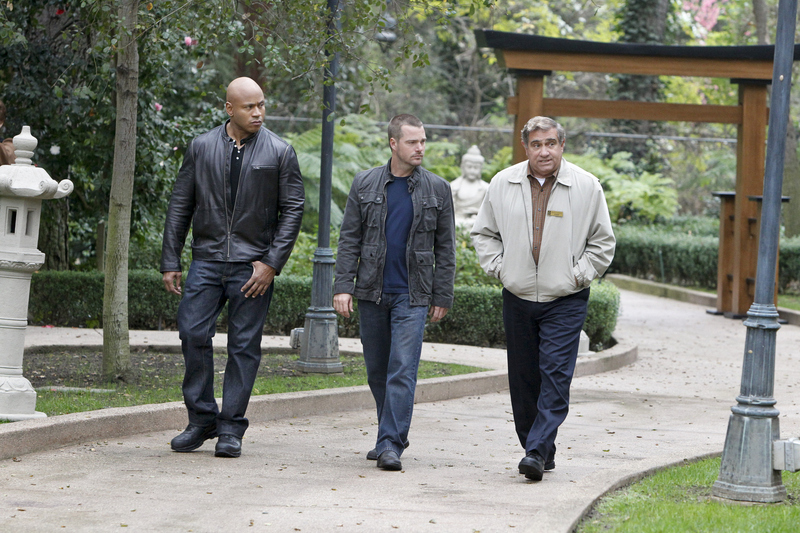 LL COOL J (NCIS Special Agent Sam Hanna), Chris O’Donnell (NCIS Special Agent G. Callen) and Dan Lauria (James Cleary) investigate a shooting outside the Vietnamese Consulate just prior to an international conference at the venue that the Secretary of the Navy is scheduled to attend, on NCIS: LOS ANGELES. Dan Lauria (“The Wonder Years”) guest stars as James Cleary, a retired Marine with ties to the case. Photo: Sonja Flemming/CBS ©2012 CBS Broadcasting Inc. All Rights Reserved.